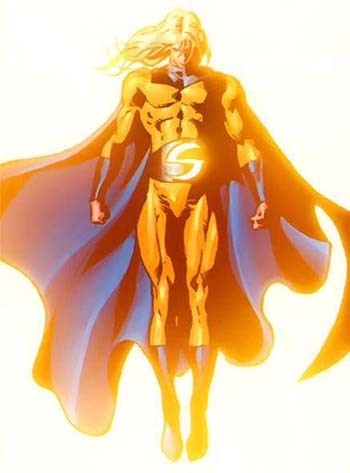 First Appearance: The Sentry (vol. 1) #1 (Sep. 2000): "The Suit"
Adam: Legend of the Blue Marvel #1 (Jan. 2009): "Part One"
Civil War: The Return #1 (Mar. 2007): "Captains Courageous: The Return of Captain Marvel"
Dark Avengers #7 (Sep. 2009): "Utopia, Chapter Three"
Dark Avengers/Uncanny X-Men: Exodus #1 (Nov. 2009): "Utopia: Conclusion"
Giant-Size Astonishing X-Men #1 (July 2008): "Gone"
Hulk (vol. 3) #8 (Jan. 2009): "World's Finest"
Hulk (vol. 3) #9 (Feb. 2009): "Jackpot"
Hulk Smash Avengers #5 (July 2012): "The Conversation"
The Irredeemable Ant-Man #7 (June 2007): "Uninvited"
The New Avengers (vol. 1) #2 (Feb. 2005): "Breakout! Part Two"
The New Avengers (vol. 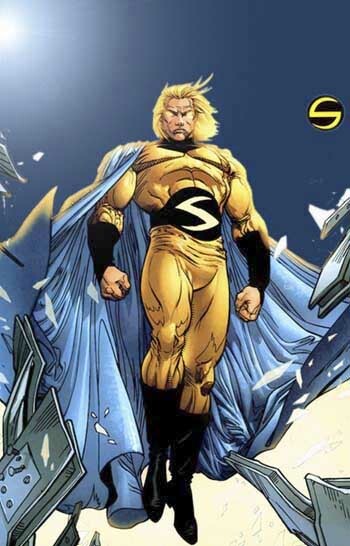 1) #7 (July 2005): "The Sentry: Part One"
The New Avengers (vol. 1) #15 (Mar. 2006): "Secrets & Lies, Part 2"
New Thunderbolts #13 (Dec. 2005): "Ditch"
New Thunderbolts #14 (Late Dec. 2005): "Made Perfect"
Punisher (vol. 8) #1 (Mar. 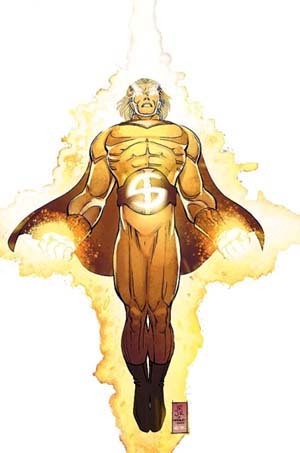 2009): "Living in Darkness"
The Sentry (vol. 2) #4 (Feb. 2006): "The Truth"
Siege: Captain America #1 (June 2010): "Bear Any Burden"
Uncanny X-Men (vol. 1) #519 (Feb. 2010): "Nation X: Chapter 5"
Vengeance of the Moon Knight #2 (Dec. 2009): "Shock and Awe: Chapter 2: The Sentry's Curse"
Young Avengers #11 (May 2006): "Family Matters: Part 3"
Young Avengers #12 (Aug. 2006): "Family Matters: Part 4"